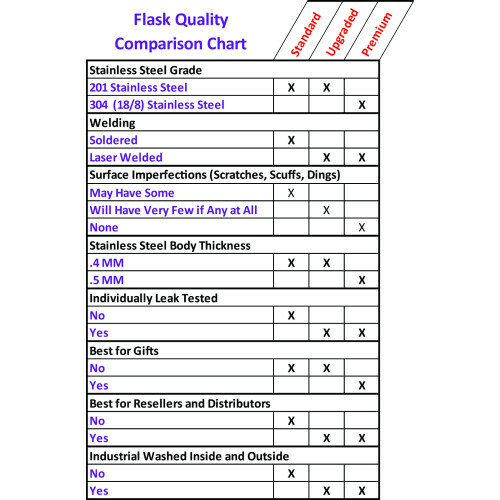 Choose the quality of your flask. 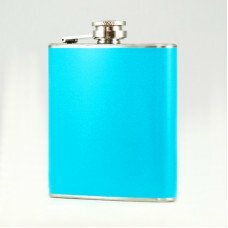 WE CAN CREATE THIS FLASK IN ANY COLOR YOU WANT AT NO ADDITIONAL CHARGE! This high quality 6oz purple flask is made from stainless steel. 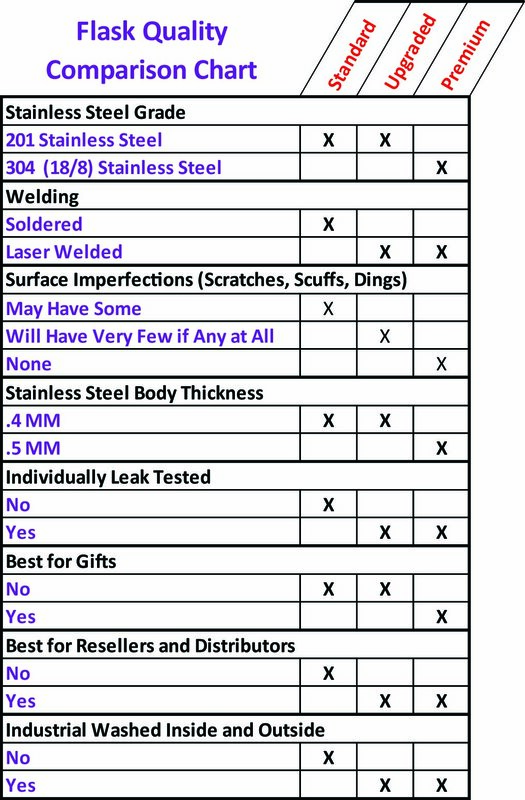 The purple coating is a durable vinyl wrap that will not peel or fade easily. The rich purple is created using a high-tech $25,000 printer that allows full continuous color all the way around the flask with even ink distribution for a clear and concise "even flow" print. 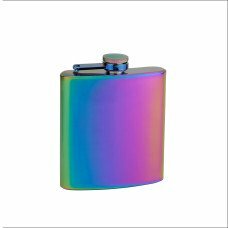 Anyone will LOVE the solid purple color of this flask! 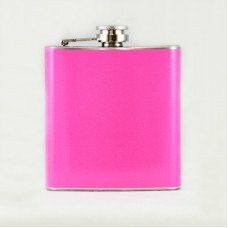 Whether it be yourself, a girlfriend or just someone you know this 6oz flask is the perfect size for your pocket, purse or even your sock. 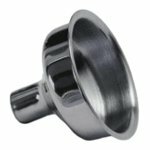 The leak proof seals and sturdy construction mean that you will not have spillage as long as you remember to screw down the attached cap. 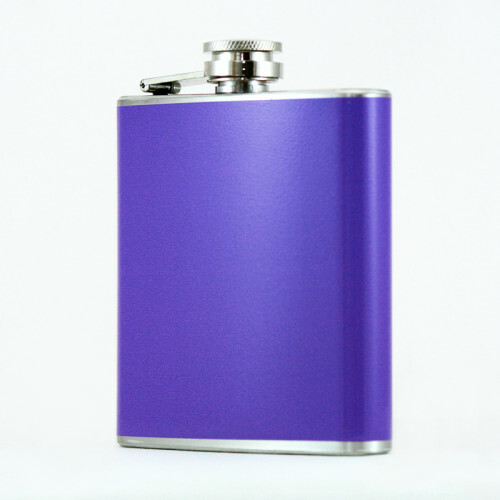 CKB Products can create this flask in the purple color pictured or any other color you want. 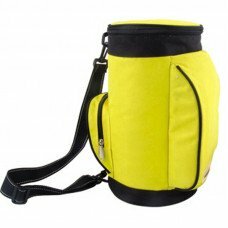 If you want solid green or black or brown, no problem, we can do that as well! At CKB you are only limited by your imagination! 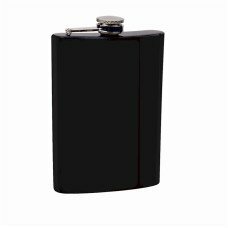 As low as: $4.30 each. 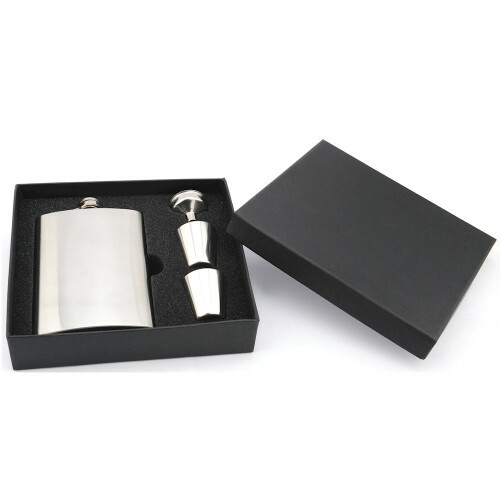 As low as: $5.16 each. 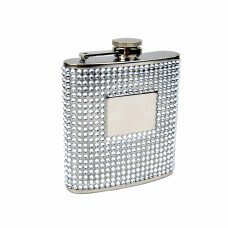 As low as: $4.62 each.